On the back of exponential growth in the consumption of coffee, hot cups have evolved & become a core consumable in all cafes & businesses serving takeaway coffee. Such is its importance, the price of a disposable coffee cup is typically used as a yardstick to determine the competitiveness of a retailer’s entire food packaging range. Indeed, takeaway coffee cups form a central part in a café’s marketing strategy, & are often styled or designed to conform with the image or décor in the café. The function of hot cups isn’t limited to beverage or coffee service. They can be used to serve hot soups, yogurt or soft serves, or any other hot/cold beverage. Takeaway coffee cups are used predominantly for the service of coffee in part because of their visual appeal, sturdiness, reliability & the perceived environmental benefits. However, foam cups continue to be a popular alternative. They offer excellent insulation & are more cost-effective than paper coffee cups. 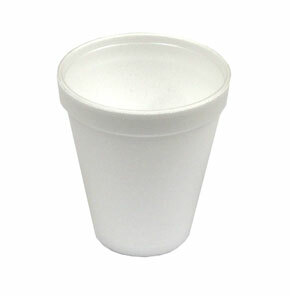 These multi-purpose cups can also be used to serve soup or yogurt, which leaves one less cup that a café has to stock. This simplifies re-ordering & reduces clutter in the kitchen. The appeal of foam cups has also been enhanced following research demonstrating that they are more eco-friendly than average paper cups in many respects. In addition, the excellent insulation properties of foam has made it a popular means for food packaging in the wider fast-food or food-to-go segment of the market. Foam snack packs, dinner packs & burger boxes are available online at Wholesale Direct Restaurant Supplies.